Notoriously slow starters in recent years, Ireland had to cope with the loss of talismanic fly-half Johnny Sexton through a first half head injury in Edinburgh. The reliable boot of Greig Laidlaw gave Scotland an early lead in blustery conditions, although the advantage was not to last long. 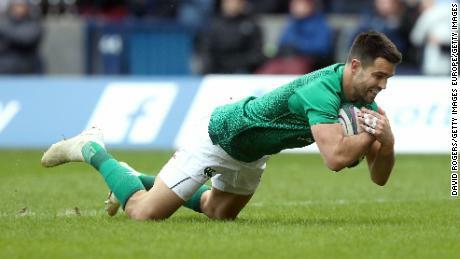 Conor Murray was the beneficiary of confusion in the Scottish defense as he scored the first try of the game, crossing the whitewash after Sean Maitland was unable to get hold of Tommy Seymour’s pass. Within seconds, Ireland had stretched its advantage as Jacob Stockdale burst through the Scottish defense to score under the posts. And with Sexton forced off the field, with what looked like a nasty head knock, the Scots looked to turn the scoreboard in their favor. Ireland’s defense held firm, however, despite coming under severe pressure to make it to half time 12-10 ahead. The last time Scotland claimed the Six Nations title Bill Clinton was US President and the millennium bug was a threat. There were also only five teams involved in the tournament. 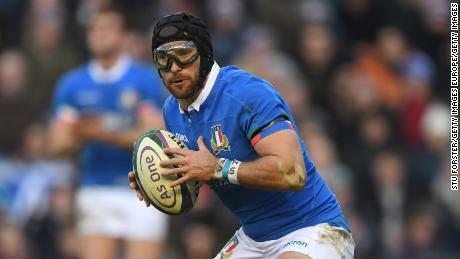 Rapid progress under the tutelage of coach Gregor Townsend in recent years and an impressive victory over Italy last week had raised hopes this could be their year. But Scottish dreams took dent early in the second period as Sexton’s replacement, Joey Carbery, broke two tackles and carried the ball 20 yards before feeding Keith Earls to finish. But it was Ireland who would round off the scoring as Carbery kicked three points of his own to ensure victory.